NEW! Print to Paperesso and energize your productivity! Paperesso is now available on Windows Store. You can print to it from any app including legacy desktop programs; you simply need to select a Paperesso printer and do your printing as usual. 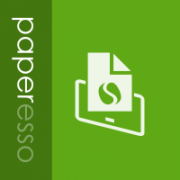 Once Paperesso has your printout, you can freely view the pages and write notes just like real papers! https://choung.net/data/wp-content/uploads/2017/07/paperesso-post-hdr.png 200 200 Support Team /img/choung-logo.png Support Team2017-03-19 02:18:252017-07-31 10:47:44NEW! Print to Paperesso and energize your productivity!